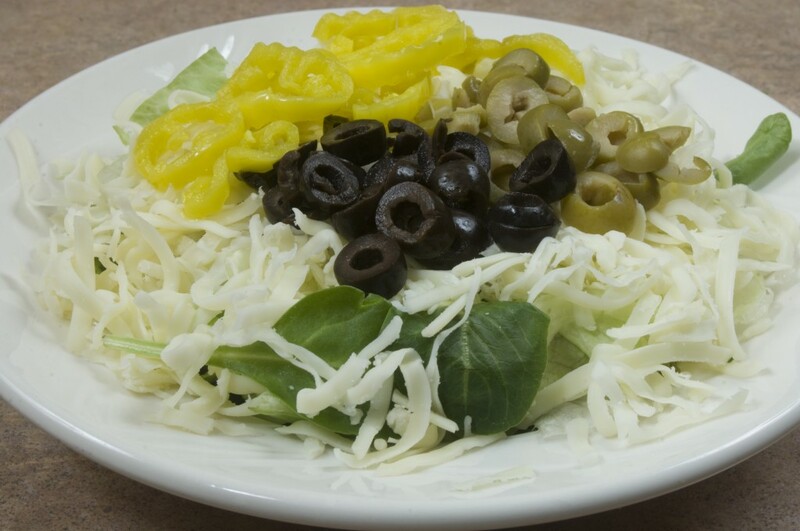 House Dinner Salad (pictured above) – Crisp lettuce topped with provolone cheese, black olives, green olives and banana peppers. Antipasto Salad – Our classic salad served with pepperonis, mushrooms, black olives, green olives, and banana peppers all on crisp lettuce topped with provolone cheese. Veggie Salad – Vegetarian’s delight! Tomatoes, green peppers, black olives and banana peppers on top of crisp lettuce smothered in provolone and cheddar cheeses. 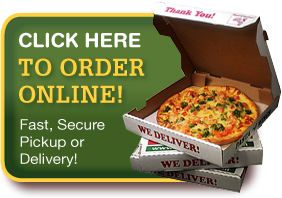 Grilled Chicken Salad – Fresh Lettuce smothered in Provolone cheese, topped with black olives, green olives, banana peppers and crowned with grilled chicken strips.